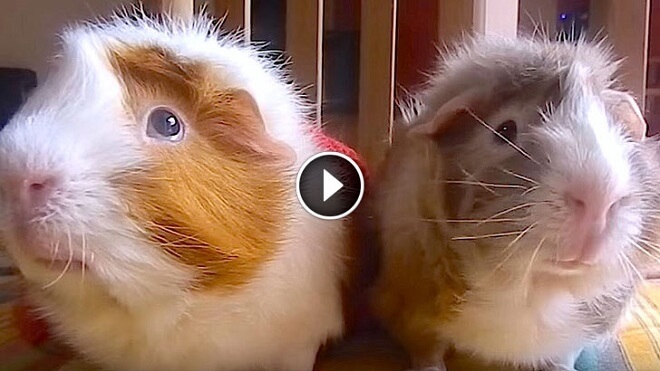 Man Was Filming His Guinea Pigs When They Suddenly Started... Talking! This is the most genius piece of comedy we've seen in a while. Good banter, excellent synchronization. These two guinea pigs kinda remind us of Statler and Waldorf, those two old guys from the Muppets who always complain about something, only funnier.